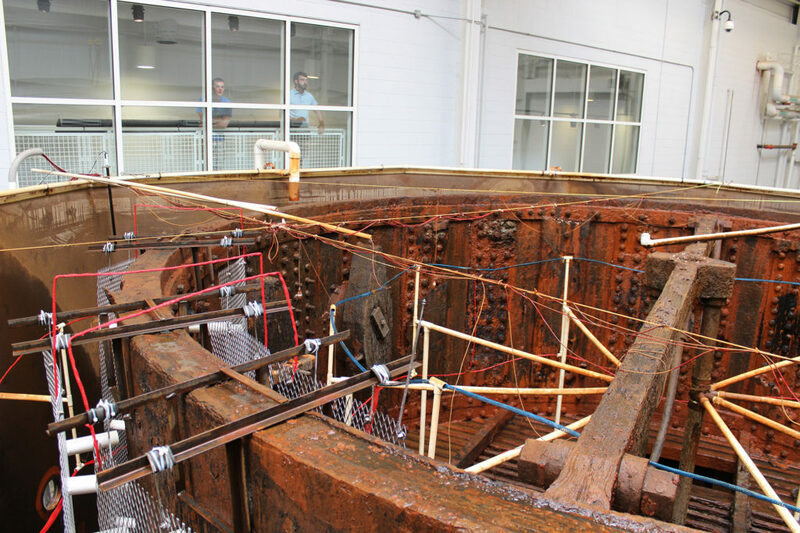 The USS Monitor‘s gun turret tank will be drained from now through July 15! 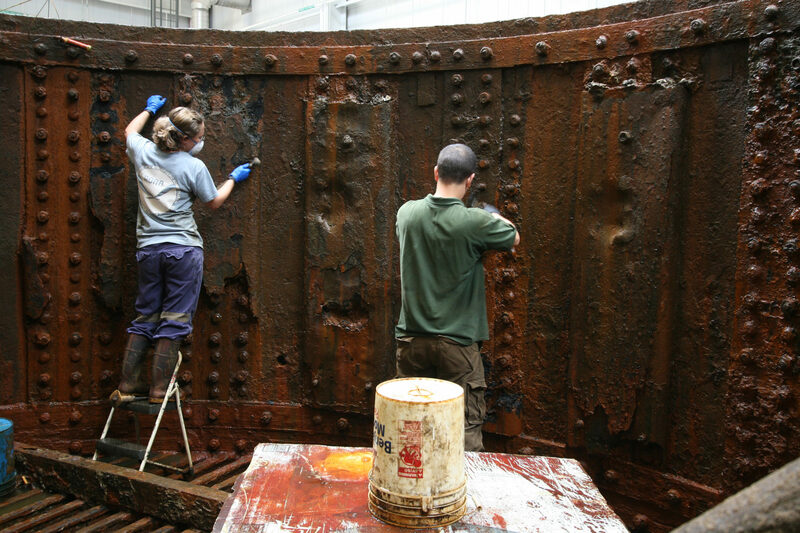 Watch as conservators drain special treatment solutions from the USS Monitor‘s gun turret tank to dismantle, excavate, and treat this piece of history. 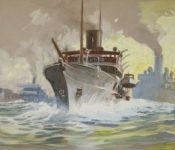 Don’t miss this rare opportunity to see the Monitor‘s most iconic artifact from a whole new perspective. The turret tank will be drained on Mondays and refilled on Fridays. Guests can view the exposed turret from the observation deck at the Batten Conservation Complex, online, or up close on a turret tour.